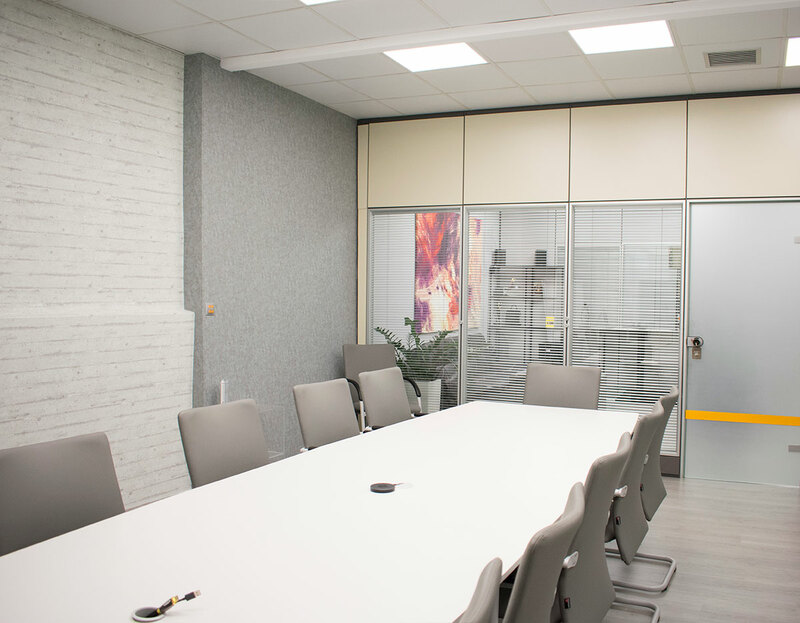 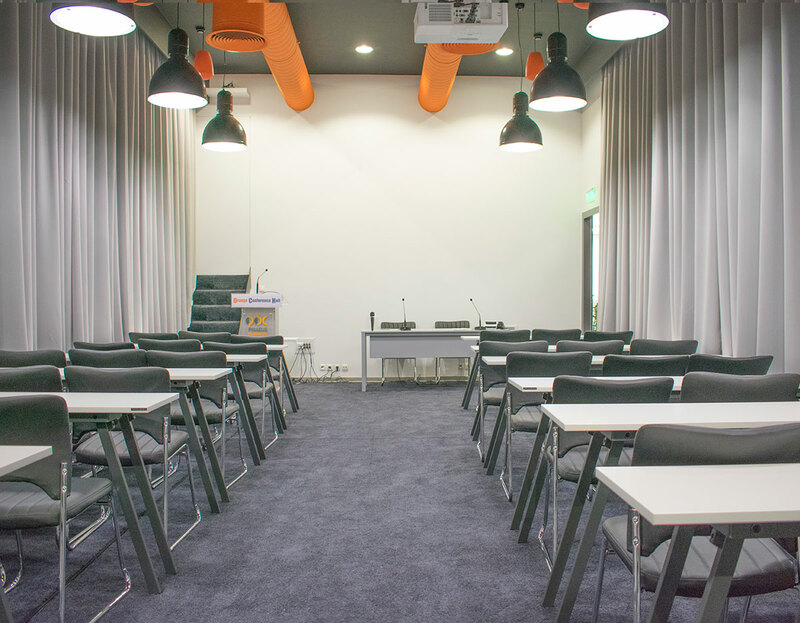 The Tangerine conference hall is located in Piraeus in a co working, multi functional space. 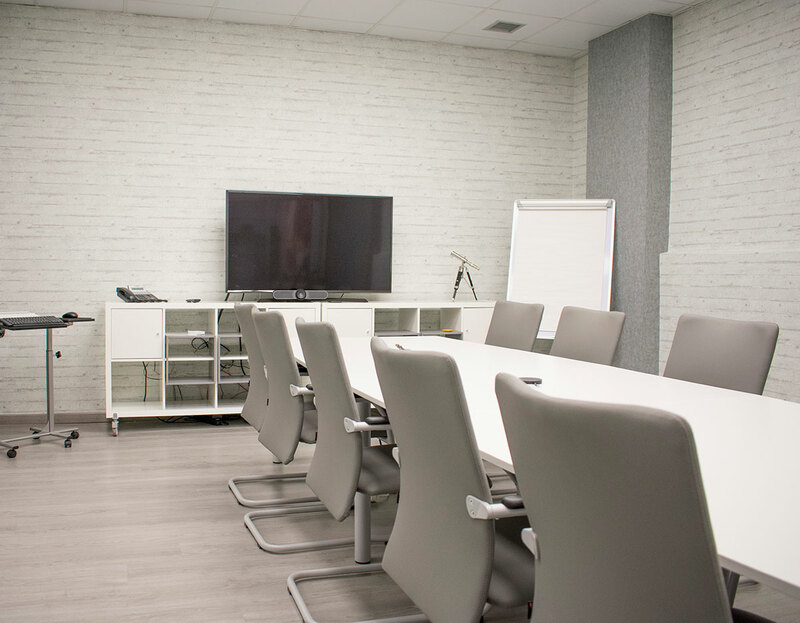 It has state of the art audio visual systems and can provide exceptional standards for your next presentation. 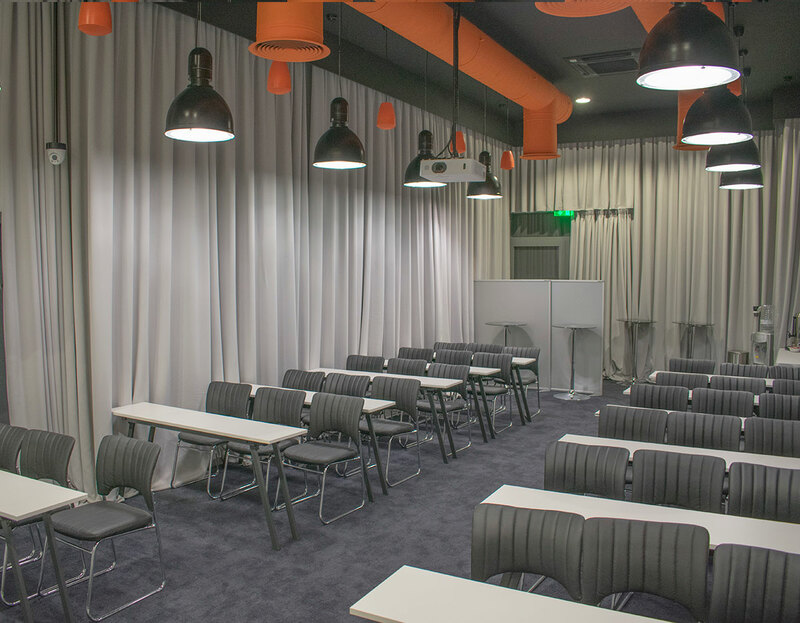 The room can host 72 people in theatre layout and 52 in school layout. 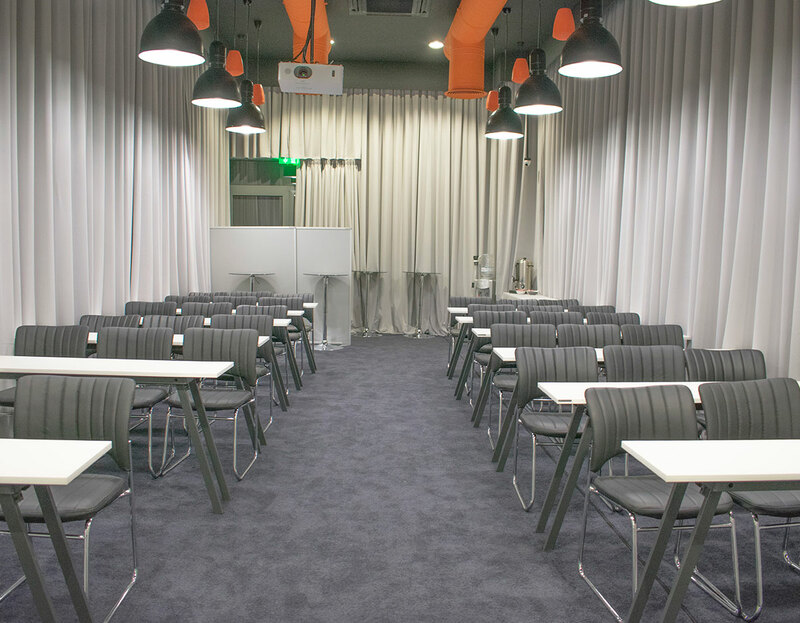 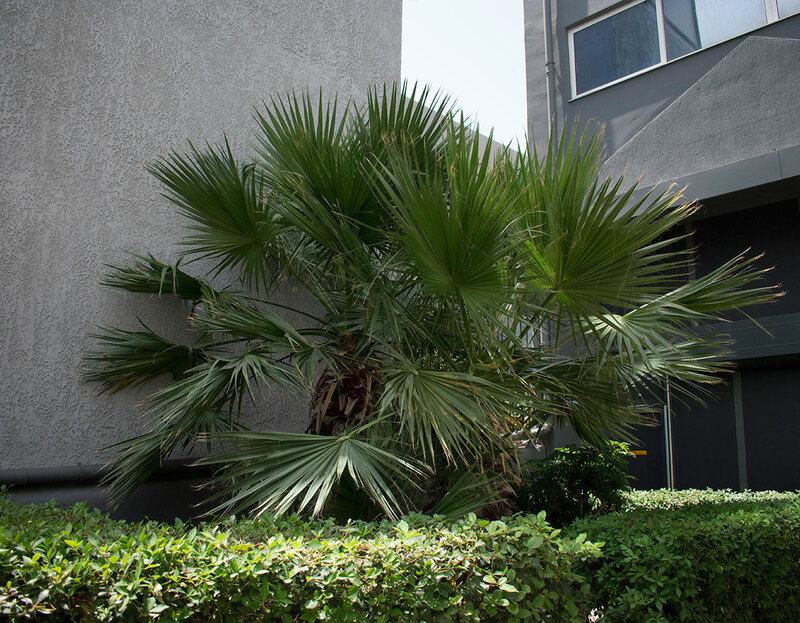 It is the perfect venue for personnel training, seminars, presentations or conferences.